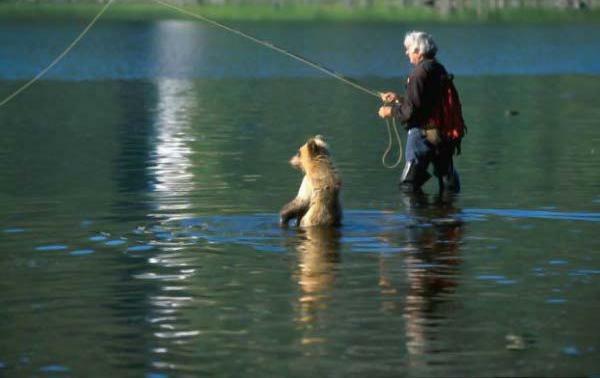 Some people say bears wander around the Russian cities begging for food, especially during winter. 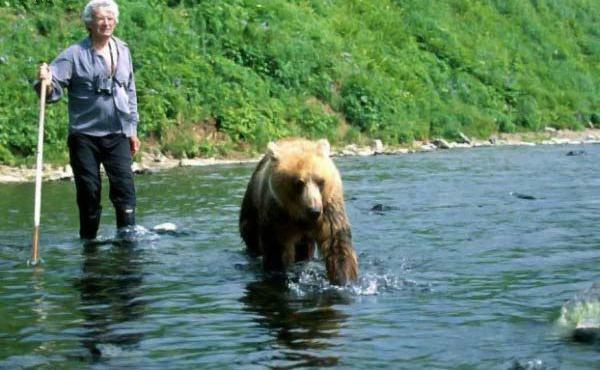 Of course that’s not true, bears don’t walk in the cities, but in some Russian areas one can wander around and don’t touch people. 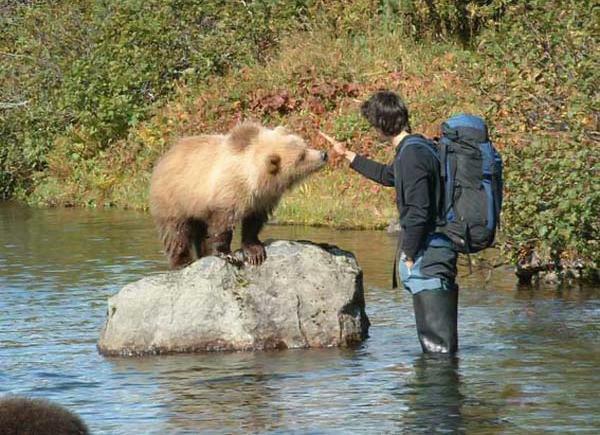 very cute bears, but do they ever bite? These are small. You don’t want to meet a grown one. Grown or not, these are big enough to easily kill a person in a moment. Amazing pictures. 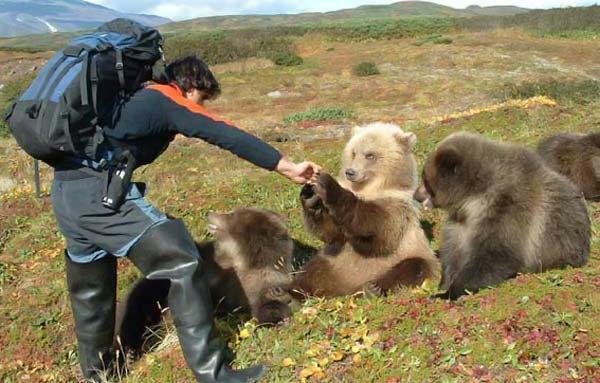 I want to go and play with the bears!!! Those are so lovely photos! Or if they’re hungry or diseased, they may attack. I’ve often heard that black bears are more dangerous, even though they’re smaller, because they’re more likely to have trouble finding food. 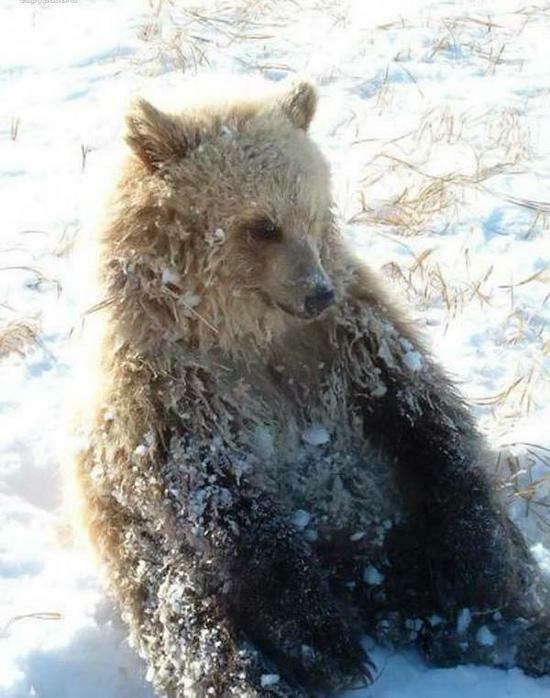 A couple of years ago a friend of mine who was living up above the artic circle told me the story of a dog sledder who came across a Grizzly bear who’d prematurely emerged from hibernation. As the team went by, the bear attacked, killing all of the dogs. The dog sledder ‘bearly’ got away with his life. The death of his sled dogs must have been . . . dare I say it . . . unbearable to watch. Considering they couldn’t get away. It’s awrite. Those bears thankfully only attack Americans, ken. These are great photos. Politics and other issues aside . . . sometimes I think I’d like to live in Russia (maybe several months out of the year) just to enjoy the vast openness and magnificent scenery. In America trust until now, that bears for us walk on cities! That is something else…..I too sure would like to visit Russia and see the out back areas. I look at the beats and think “fur coat”. Well so much for compassion. I wonder if he’s any help cleaning up around the camp? Do not bears attack it why? Did you breed at child’s bear? very very very very cuuuuuute!! I haven’t seen it before like this picture. I almost be killed by those pictures lol. 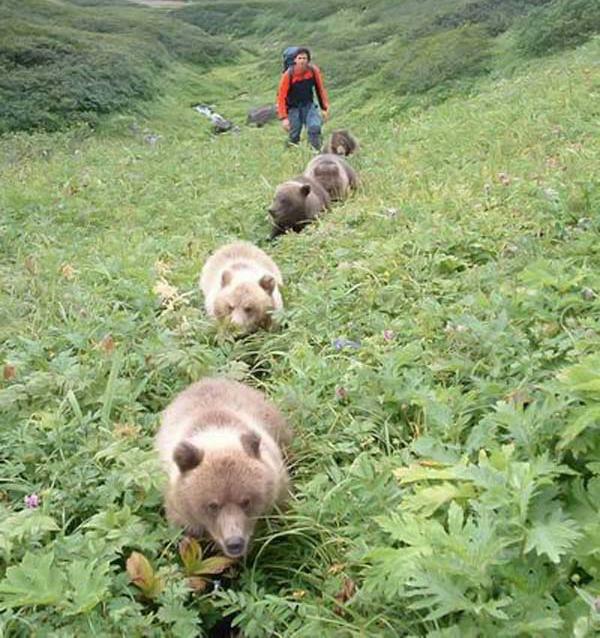 These bears were raised from cubs by that man with the white hair, who is Canadian and received permission from the Russian government biologists to live in kamchatka and take care of them after their mother was killed by poachers. So they are not exactly “wild” as they have grown up next to him. There was a show about him and his wife on the American discovery channel. LOL this was really cute pictures! We should feed miss India to them but thell proably just get diareiah from the curry and rotten ghe.